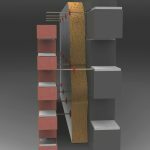 We have previously outlined here the importance Pad stones as an essential component in modern block and brick construction projects, protecting the wall beneath from crushing weight transferred through load-bearing elements above. 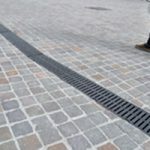 With architectural designs creating ever more imaginative living and working spaces the demands for appropriate corner pad stones to support these new designs has increased dramatically. That’s where Killeshal can shine… with corner padstones! We’ve been making concrete padstones at Killeshal for a long time and in addition to our standard off-the-shelf straight concrete padstones we manufacture a range of corner pad stones to allow for a greater and more versatile range of support options for the build designs of today’s architects. There is no question that padstones play an essential role in any structure as we have outlined here before (you can read that here if you wish: Get-It-Right-With-Padstones) but if you were not already aware of the wide range of applications we can cover, well… we can provide a wide range of padstone support options for just about any application with standard and corner padstones. If you cannot find what you need in our off-the-shelf sizes, don’t hesitate to contact us with the required dimensions. We have a long history of manufacturing to bespoke specifications here at Killeshal and the guys in our Technical Sales Team very much live up to the “Technical” part of that title, with a wealth of engineering knowledge and expertise. 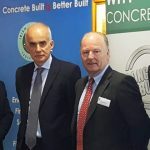 Contact our Killeshal technical sales team to see how Corner Pad Stones from Killeshal can provide better concrete structural support and help you get it right for your project. Click here for our Padstones page.